Almost a year after the release of WIXIW, New York shapeshifters Liars have shared a video for the collection's opening track, "The Exact Color of Doubt." 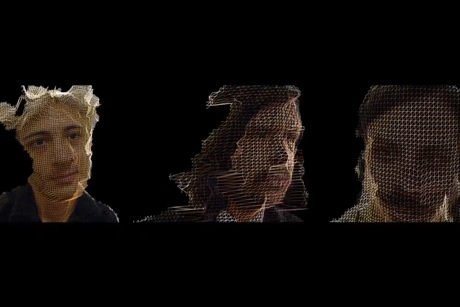 The widescreen video for this arty, expansive track shows turns the trio's faces into computer generated 3D images. They flicker and rotate dizzily, sometimes becoming clear and at other times being abstract and disorienting. See Liars international tour schedule at their website.